Apple’s HomeKit framework is starting to pick up steam. In addition to the new Lyric adding support for the smart home framework, Hunter Fans is also letting you control your environment with a smartphone. Two fans, the Symphony and Signal, will both include HomeKit support straight out of the box. 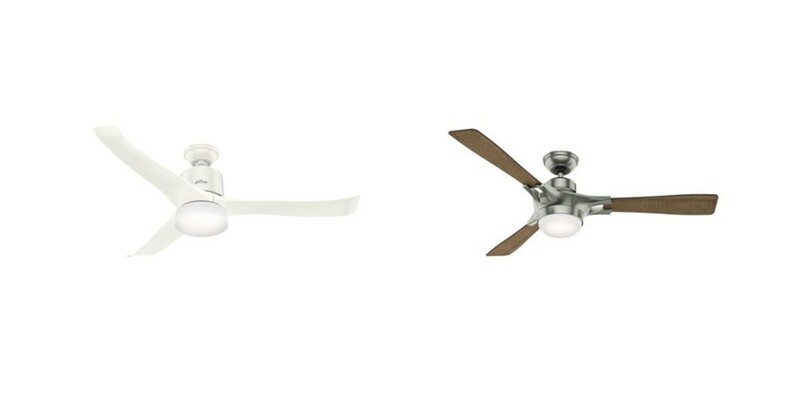 The Symphony comes in an all-white finish, while the Signal has a satin nickel base and reversible wood blades. The duo will cost $329 and $379, respectively. Perhaps best of all, they won’t be hard to find. Hunter says retailers like Home Depot, Lowes, Best Buy and Amazon will carry the two fans as early as Spring of this year.